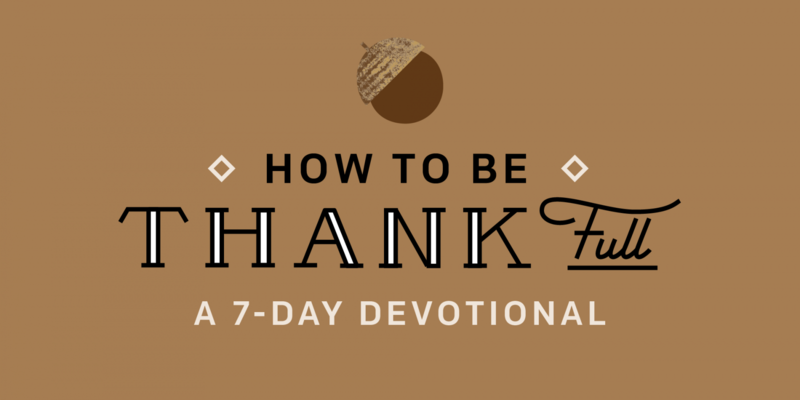 Click the play button to hear Chip's thoughts on today's devotional. 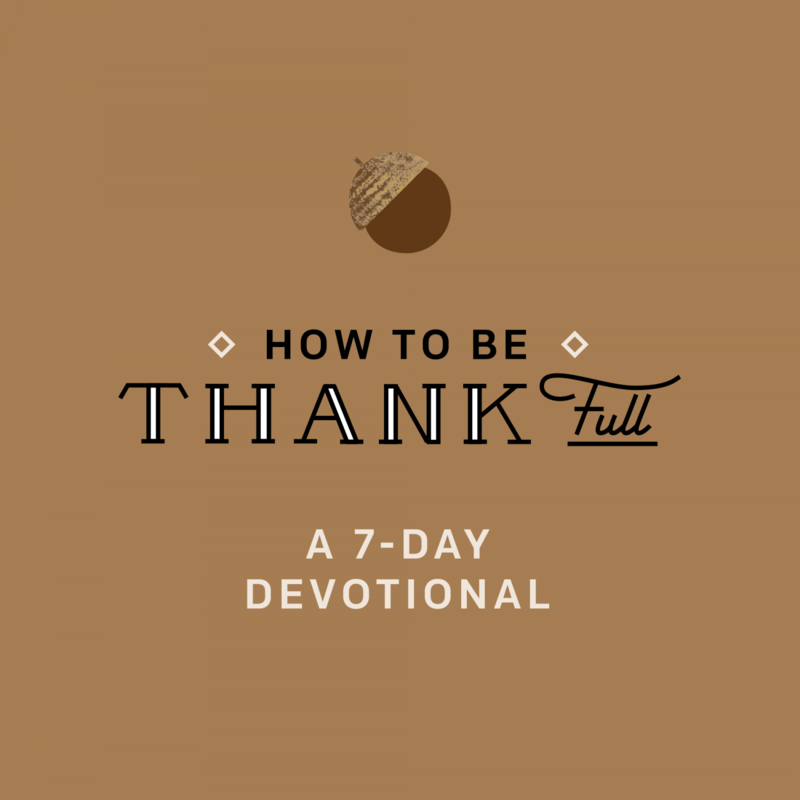 If you’ve ever been there, you know thankfulness is not what our minds instinctively respond with when we lose a job or feel stretched financially. Instead, we can find ourselves bitter toward the teen driving a new BMW, jealous of the friend celebrating a promotion, or annoyed by the neighbor making yet another addition to his house. In a letter to a young pastor, the apostle Paul reminds Timothy — and us — that contentment isn't found in what we have (1 Timothy 6:6-8). There will always be someone richer or more famous. If we spend our lives pursuing more, it'll lead us away from the one thing we really need: Jesus. Jesus provides for our every need. Paul knew this because he had experienced it himself. At one point, Paul had everything you could imagine wanting. He was rich, like Bill Gates wearing a tunic rich. Then, Paul lost everything. Paul went broke and was thrown into prison, but his soul remained rich and free. Writing from prison, Paul said, “I have learned how to be content with whatever I have. I know how to live on almost nothing or with everything. I have learned the secret of living in every situation, whether it is with a full stomach or empty, with plenty or little. For I can do everything through Christ, who gives me strength” (Philippians 4:11-13). Hard work and goals are great and necessary. But we have to be careful not to become more fixated on filling our bank account than seeking Jesus. Paul was thankful when he had nothing because in Jesus he had everything. Full pockets can't fill an empty heart, but a full heart can override all worldly emptiness. Full pockets can't fill an empty heart, but a full heart can override all worldly emptiness. If we focus on what we don’t have, we cannot be content. But if we focus on Jesus, we can be more than satisfied regardless of our circumstances. In Him, it is impossible to remain unfulfilled. Is there any area of your life where you’re struggling to feel content? Job losses and financial struggles are difficult things to go through. If you’re in that place today, what’s one truth from today’s Bible reading that gives you hope for the future? What’s one way you’ve seen God provide for your needs? Take some time today to thank God for how He’s provided for you (in your current situation or in the past).